So, on my surgiversary I'm out shopping for jeans, and 6 years later, I can squeeze these Tyrannosaurus Rex legs into a 12. Life ain't bad. I don't have any grand proclamations or sweeping sentimental statements. Life is life. Surgery doesn't guarantee love, happiness, riches or wealth. But navigating life 150 lbs down is much much easier. Not worrying about fitting into places...not worrying about getting winded just walking the store...not worrying about a seat belt fitting.....I can live with those Nots. 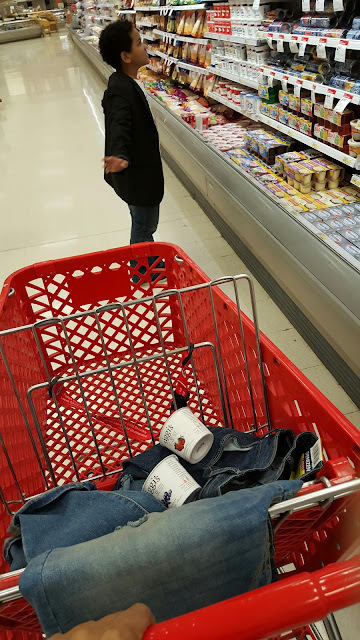 Right now, the only thing I'm worried about is buying one pair of jeans or two as I walk around Target with my favorite guy in the world.